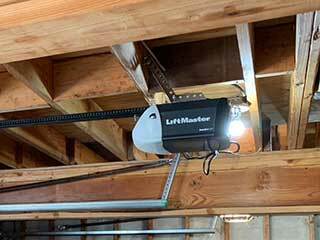 The main reason people choose to have a garage door opener installed is convenience. No longer having to manually lift and lower the door every single day is an incredibly worthwhile investment. But did you know that this type of unit can offer you other benefits? Security and safety are prime qualities that such a motorized unit can add to your garage and to your home in general. New garage door opener models have all sorts of unique features to offer you. From WiFi connectivity that can allow you to use your phone to operate the door, to special digital locks and even timed-closing functions. The technological advancements of the past several years have really made getting this type of unit installed a priority for pretty much every garage door owner. In terms of maintenance, the type of opener you choose will determine how much of that you'll need. Chain drive openers are known for being more affordable and stronger, but also louder, and they require more maintenance than the other types. A screw drive unit barely needs any maintenance, and is by far the fastest kind, but it too is loud, and not the cheapest. Belt drive models offer smooth and silent performance, but at a steeper price than their counterparts. Again, different opener types will experience different problems, mainly due to the fact that their drive systems are different. A door that got off the chain or a torn belt are two distinct problems that can affect different opener types. There are still some issues that every unit can experience, and those involve the motor gears, the safety sensors and the logic board. Regardless of what type of problem is causing your device to act up, you can rest assured that our team is just a phone call away. Not only can you call us for all your emergency repair needs, but you can also use our online scheduling system to book a service appointment with one of our highly skilled experts. Whatever you need, our team here at Garage Door Repair Lilburn will be able to deliver it. For more information, contact us today.